In the spring of 1982, Warren Johnson and his wife, Susan, decided to purchase an outfitting and guiding business at a mountain ranch outside Gardiner, Montana. The plan was to raise horses—as well as their children—in a bucolic setting that boasted a breathtaking view of Yellowstone National Park. 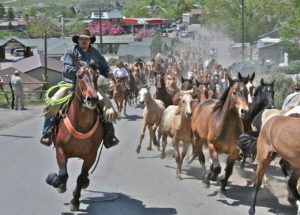 To grow the business, Warren purchased 15 horses and had them delivered to the rodeo grounds in Gardiner. However, lacking a horse trailer, Warren was left to wonder how he would get the animals up to his Hell’s A Roarin’ Ranch. No trailer? No problem. With the help of a 9-year-old boy who was staying with the Johnsons, Warren ran the horses through the alleys of Gardiner before heading up toward his property. “I always thought that this was the best way to move horses, and it added a little bit of Western excitement to the gateway community of Gardiner,” he explains. 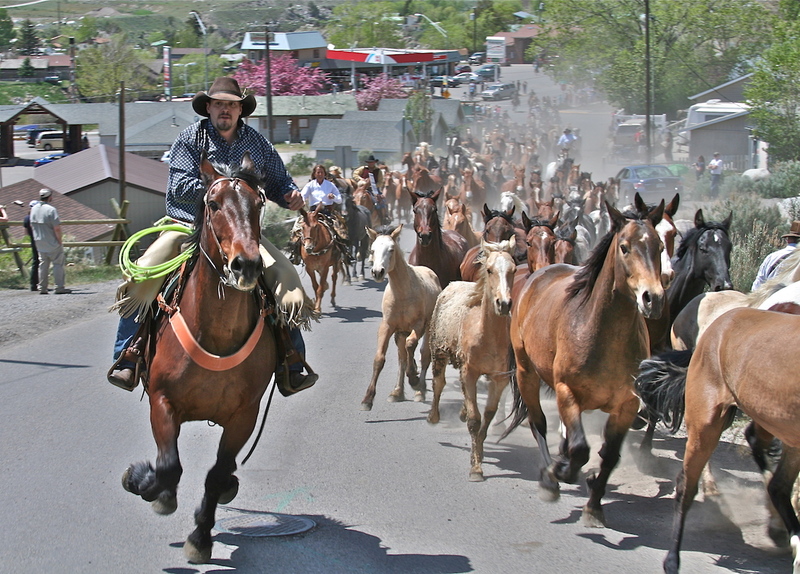 Just like that, the annual Hell’s A Roarin’ Horse Drive was born. 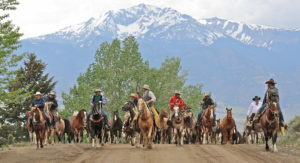 A few years ago, the Johnsons decided to invite the public to join in the celebration, and the Horse Drive is now a thriving fundraiser, held each spring during Memorial Day Weekend. This year, proceeds from the event will benefit the Montana Raptor Conservation Center and Western Montana Search Dogs. The action begins at 1 p.m. in Gardiner. 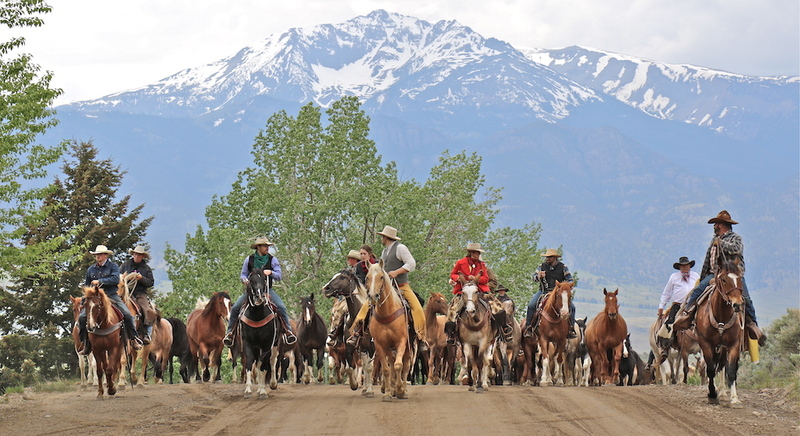 Following the 9-mile trek up to the ranch, there is a Montana barbecue, cowboy poetry and music from Wylie and the Wild West. The Horse Drive offers a slice of the old West, one that is fast disappearing.